They appear often situations in a system’s operation characterized by a degree of vagueness and/or uncertainty. In the present paper, the author uses principles of fuzzy logic to develop a general model representing such kind of situations. They also present three alternative methods for measuring a fuzzy system’s effectiveness, including the use of its total possibilistic uncertainty, the classical Shannon’s entropy properly modified for use in a fuzzy environment and the “centroid” method in which the coordinates of the center of mass of the graph of the membership function involved provide an alternative measure of the system’s performance The advantages and disadvantages of each of the above methods are discussed and a combined use of them is suggested in obtaining the ideal profile of the system’s performance according to the user’s personal criteria of goals. 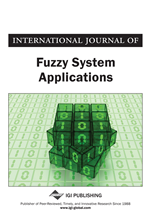 An application of their general model is also developed for the Mathematical Modelling process illustrating the use of the author’s fuzzy model in practice. A system is a set of interacting or interdependent components forming an integrated whole. A system comprises multiple views such as planning, analysis, design, implementation, deployment, structure, behavior, input and output data, etc. As an interdisciplinary and multi- perspective domain systems’ theory brings together principles and concepts from ontology, philosophy of science, information and computer science, mathematics, as well as physics, biology, engineering, social and cognitive sciences, management and economics, strategic thinking, fuzziness and uncertainty, etc. Thus, it serves as a bridge for an interdisciplinary dialogue between autonomous areas of study. The emphasis with systems’ theory shifts from parts to the organization of parts, recognizing that interactions of the parts are not static and constant, but dynamic processes. Most systems share common characteristics including structure, behavior, interconnectivity (the various parts of a system have functional and structural relations to each other), sets of functions, etc. We scope a system by defining its boundary; this means choosing which entities are inside the system and which are outside, part of the environment. The systems’ modelling is a basic principle in engineering, in natural and in social sciences. When we face a problem concerning a system’s operation (e.g. maximizing the productivity of an organization, minimizing the functional costs of a company, etc) a model is required to describe and represent the system’s multiple views. The model is a simplified representation of the basic characteristics of the real system including only its entities and features under concern. In this sense, no model of a complex system could include all features and/or all entities belonging to the system. In fact, in this way the model’s structure could become very complicated and therefore its use in practice could be very difficult and sometimes impossible. Therefore the construction of the model usually involves a deep abstracting process on identifying the system’s dominant variables and the relationships governing them. The resulting structure of this action is known as the assumed real system (see Figure 1). The model, being an abstraction of the assumed real system, identifies and simplifies the relationships among these variables in a form amenable to analysis. A system can be viewed as a bounded transformation, i.e. as a process or a collection of processes that transforms inputs into outputs with the very broad meaning of the concept. For example, an output of a passengers’ bus is the movement of people from departure to destination. Many of these processes are frequently characterized by a degree of vagueness and/or uncertainty. For example, during the processes of learning, of reasoning, of problem-solving, of modelling, etc, the human cognition utilizes in general concepts that are inherently graded and therefore fuzzy. On the other hand, from the teacher’s point of view there usually exists an uncertainty about the degree of students’ success in each of the stages of the corresponding didactic situation.